When he wrote poems, he felt as free as the Passaic River as it rushed to the falls. Willie’s notebooks filled up, one after another. Willie’s words gave him freedom and peace, but he also knew he needed to earn a living. So he went off to medical school and became a doctor -- one of the busiest men in town! Yet he never stopped writing poetry. 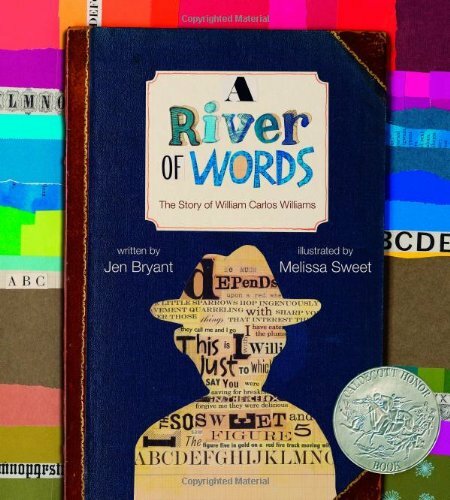 In this picture book biography of William Carlos Williams, Jen Bryant’s engaging prose and Melissa Sweet’s stunning mixed-media illustrations celebrate the amazing man who found a way to earn a living and to honor his calling to be a poet. If you have any questions about this product by Eerdmans Books for Young Readers, contact us by completing and submitting the form below. If you are looking for a specif part number, please include it with your message.